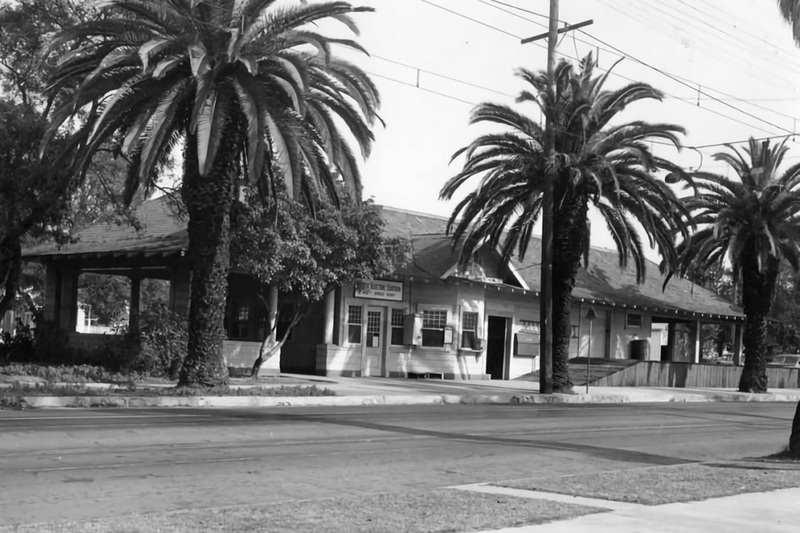 San Bernardino Road is one of Los Angeles County's oldest historical highways. 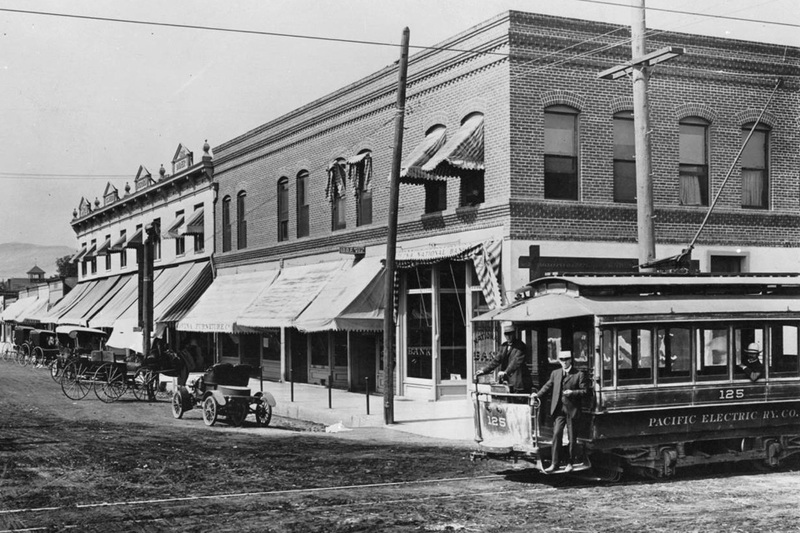 An important transportation link in pioneer times, today's city of Covina would not have come into existence without it. In 1810, when California was still part of the Spanish Empire, the friars of Mission San Gabriel built a ranch outpost 45 miles to the east. The chapel there was dedicated to San Bernardino de Siena, which, in the decades to come, would lend its name to a new city, and to the mission trail that originally connected the inland estancia to the mother church and to Los Angeles beyond. Detail from the Kirkman Map (1937) of historical sites in Los Angeles County, showing the future location of Covina on the "Old San B[ernar]dino Road" (center). 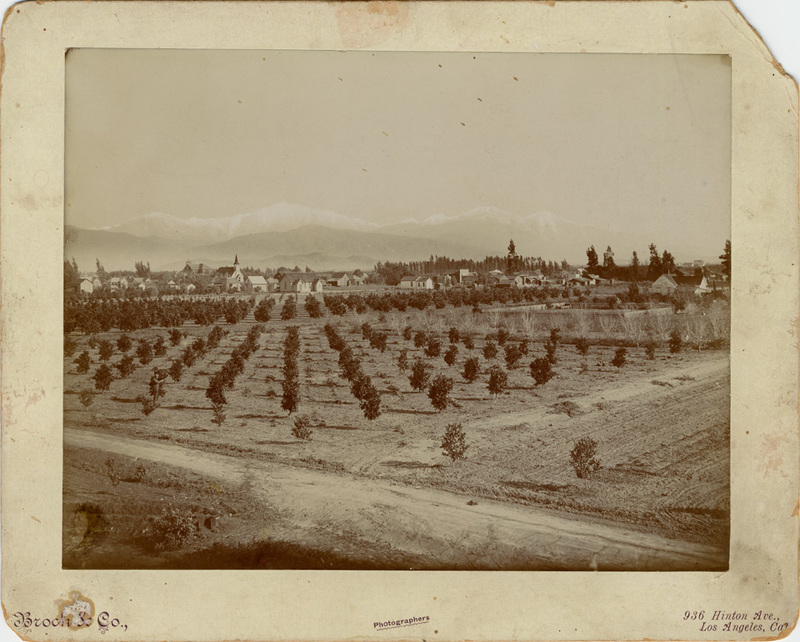 By 1842, when the San Bernardino Road was established as the northern boundary of Rancho La Puente, it was already the main east-west carriage and coach route through what was then called the Azusa Valley. 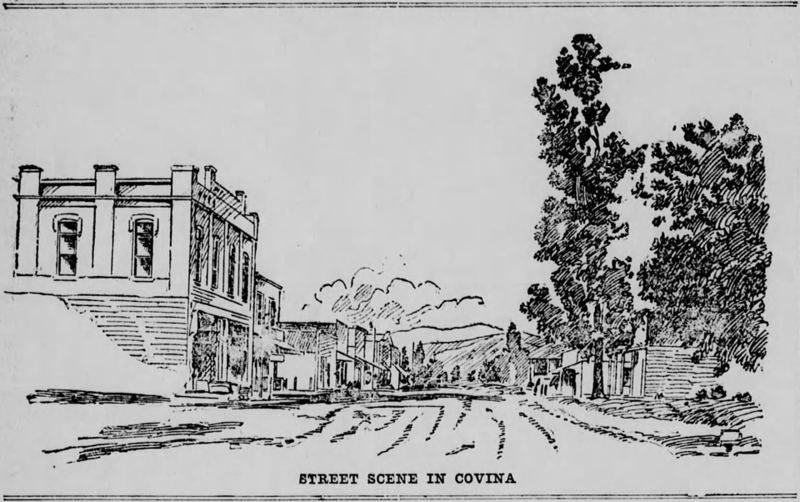 Recognizing it as an ideal location for a townsite, Joseph S. Phillips bought 2,000 acres of land on the south side of the stage road in 1882, and founded Covina there 3 years later. 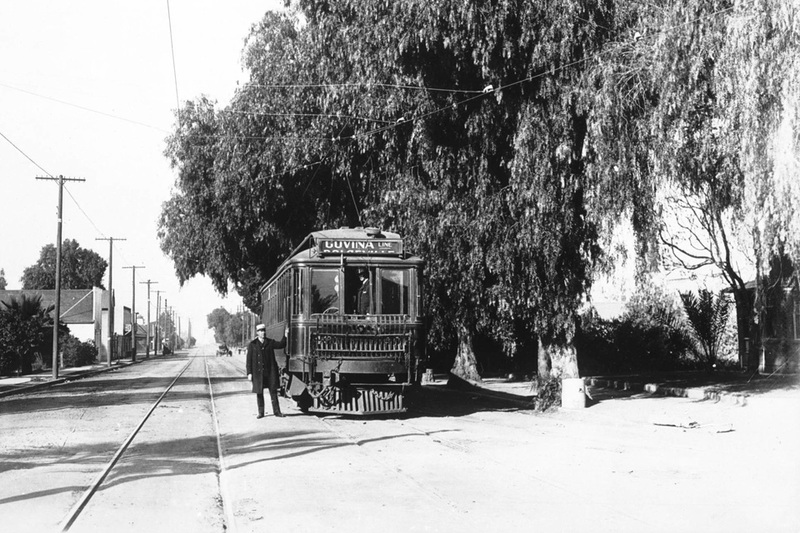 Many early "firsts" in the Covina area took place along the much-traveled track. 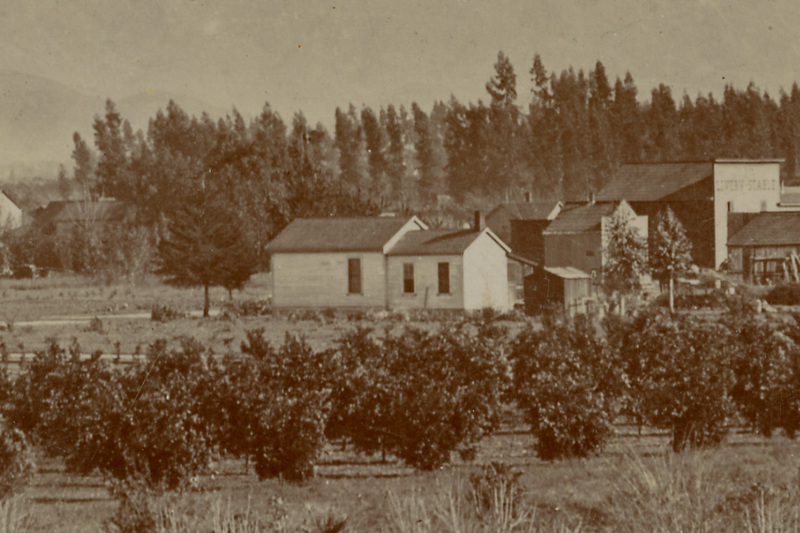 The first general store: Goldsmith's "Four Corners" mercantile, near today's Orange Avenue, 1865. The first community center and church: Grange Hall, near today's Vincent Avenue, 1870s. 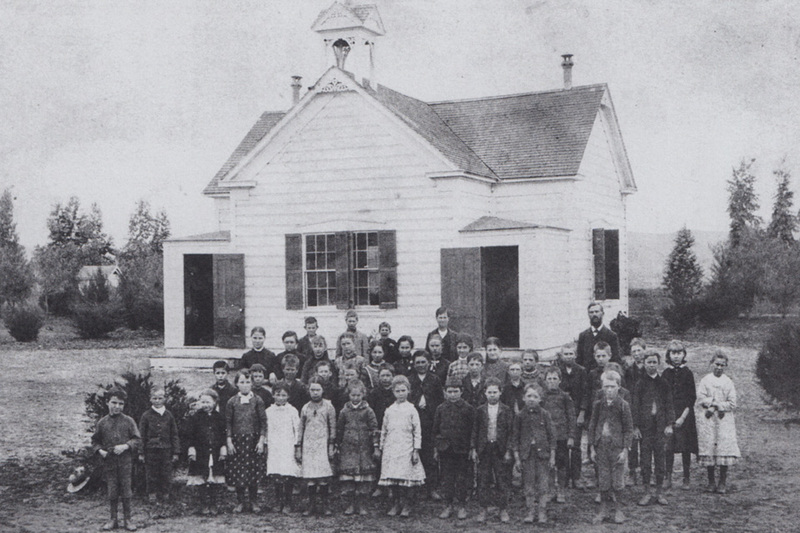 Covina's first schoolhouse (pictured below), corner of Citrus Avenue, 1883. 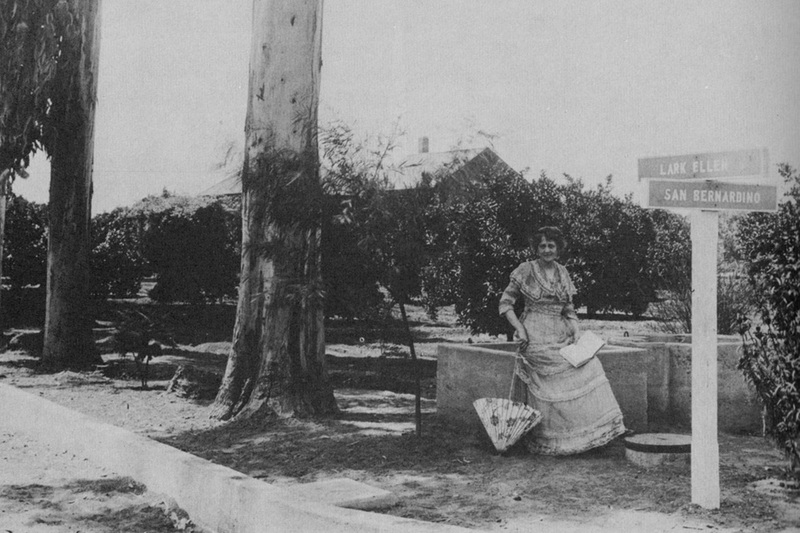 First irrigation reservoir – foundational to Covina's citrus industry – west of Grand Avenue, 1886. 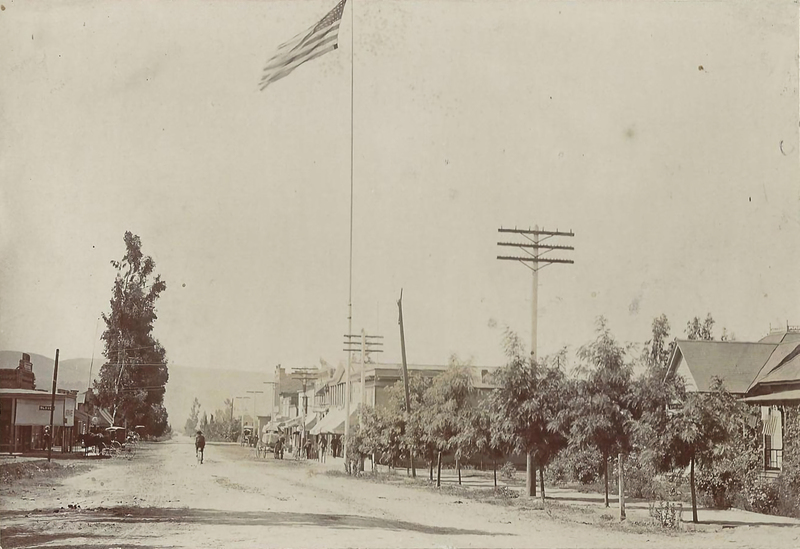 The city's first high school: on San Bernardino Road behind the grade school, 1903. 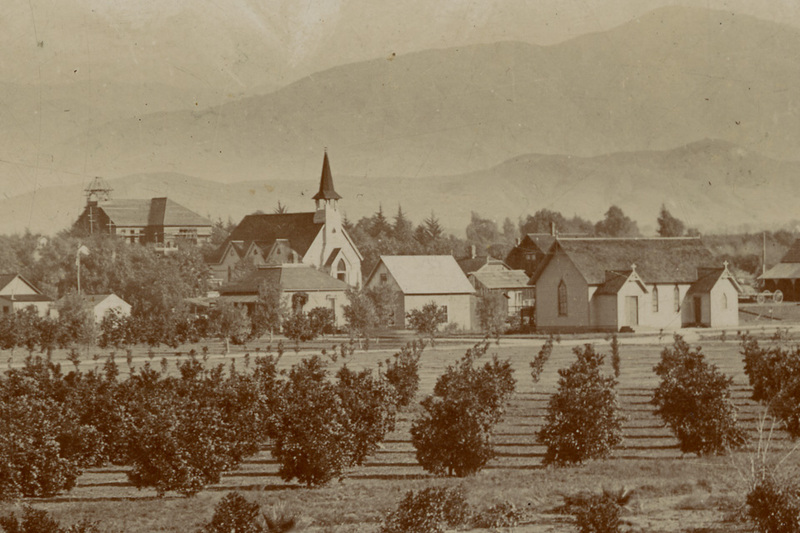 The Phillips School on San Bernardino Road, circa 1885. Source: Images of America – Covina, by Barbara Ann Hall, Ph.D., 2007. 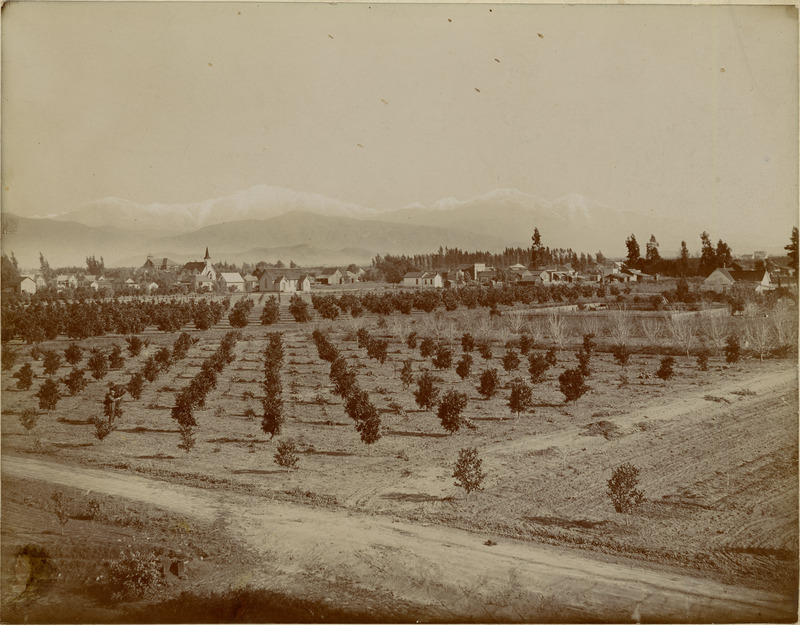 Additionally, some of the earliest houses in the lower Azusa Valley were built along San Bernardino Road. 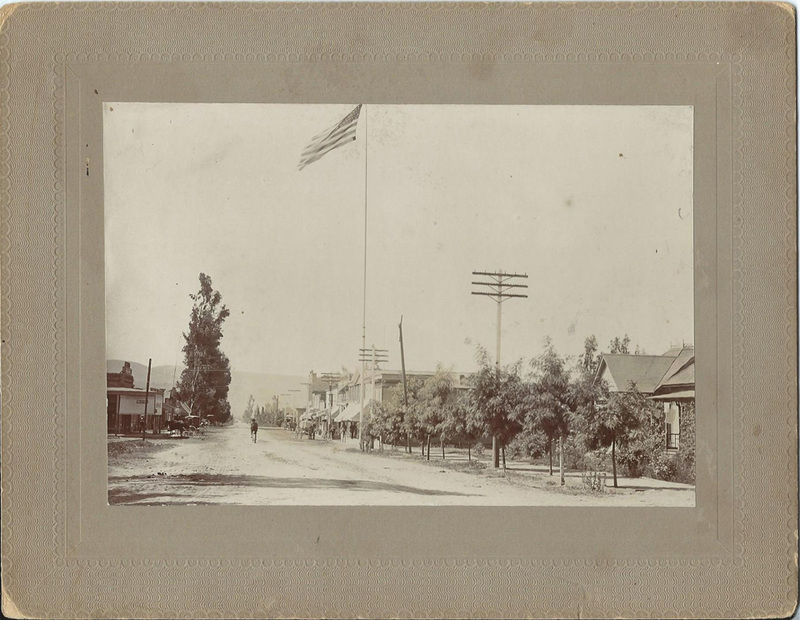 The most historically notable were the homes built by the Badilla brothers in 1876 just west of today's Hollenbeck Avenue, and Thomas S. Ruddock's Mountain View estate, erected in 1886 at San Bernardino Road's intersection with Grand Avenue. 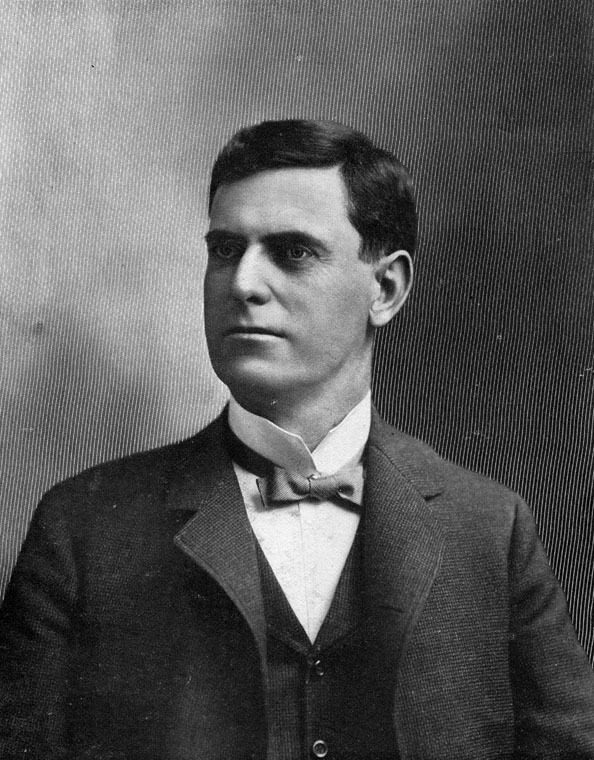 Home of Covina's founder, J. S. Phillips, originally built by valley pioneer Julián Badilla. 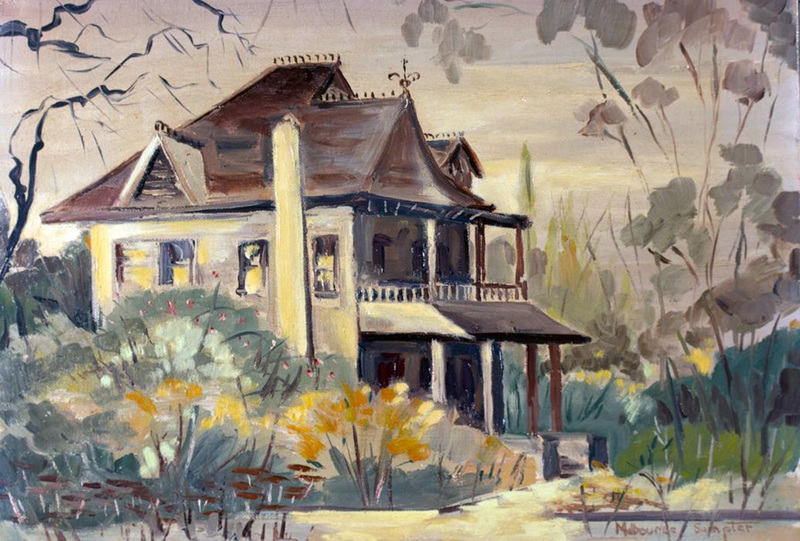 Painting by Melbourne Sumpter, image courtesy Glenn Reed/Covina Valley Historical Society. Opera singer "Lark Ellen" Beach Yaw lived on San Bernardino Road at the intersection of the street that still bears her name. Source: Covina, by Donald Pflueger, 1964. Now over 200 years old, almost all traces of the original San Bernardino Road have been erased, however the portion of it that passes through Covina today is one of the few remaining stretches that precisely follows the track of the historic Spanish mission trail. 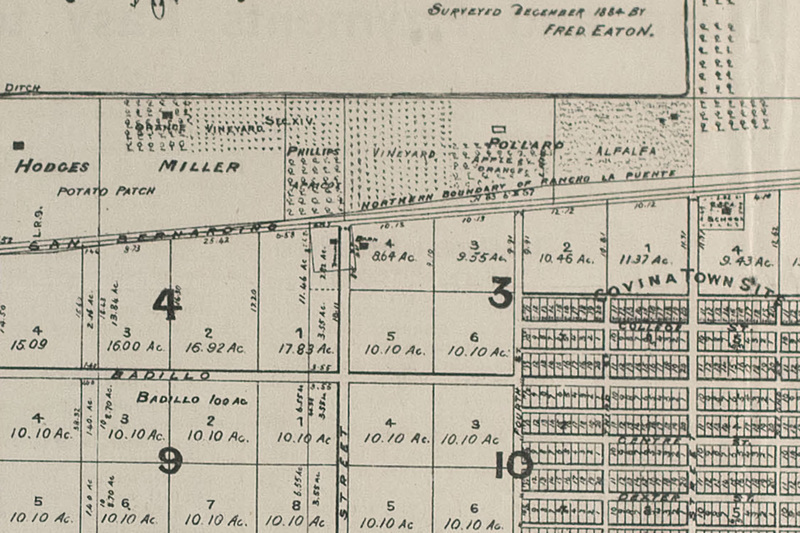 The familiar odd angles of old San Bernardino Road are easily recognized in this detail of the first map of Covina, 1885. 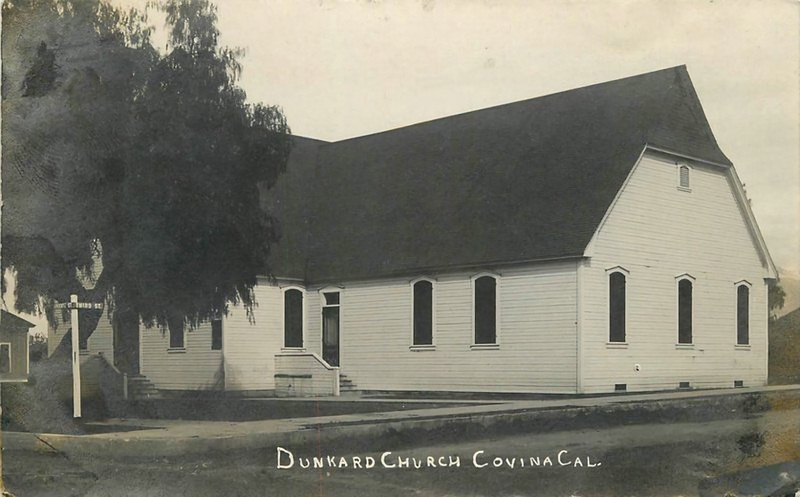 Courtesy Glenn Reed/Covina Valley Historical Society.